Selecting the right pond plants will help you balance your water garden and maintain a healthier pond environment with less nuisance algae. Learn how to use aquatic plants and natural pond care techniques from water garden expert, Kelly Billing. 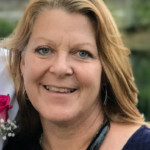 With her knowledge and insights, you will learn how to create a balanced pond that doesn’t rely on toxic chemicals or expensive mechanical filters by using natural solutions. In this guide, we will explain the preferred types of aquatic plants, how to use plants for oxygenation / filtration, the difference between cool / warm season plants, and when to choose floating, submerged, shallow water, and other plants for your pond that will naturally improve water quality. Why Should I Add Water Plants To My Pond? Should I Use A Container For My Pond Plants? 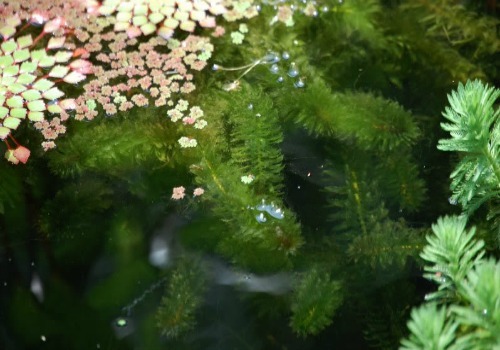 From our interview with Kelly Billing, we learned these helpful tips about maintaining pond plants to keep in mind while reading this article. If you have any experiences to add, please leave them in the comments section at the end. Please read this other article to learn specific tips for Spring start-up and debris clean up in your pond. Have a good mix of warm season, cool season, and perennial plants. Remove any foliage that is leaning or deteriorating into pond, this is fuel for algae. Keep things neat, orderly, and fresh so you can naturally maintain the pond over depending on chemicals. Use a pump or filter to circulate water in your pond for oxygenation. Movement in water will enhance your plants’ natural ability to uptake nutrients and trap more sediments. Water Gardening Background: A longtime member of the commercial water gardening community with 30+ years in the industry. Passionately involved in educating and inspiring water gardeners everywhere. Most recently involved in making unique art from Lotus leaves. By adding pond plants you will provide competition to opportunistic algae. There are many ways to maintain a balanced pond, but using plants is the best long term solution to combat nuisance algae and provide a healthy habitat that your fish will love! If your pond is 100 gallons or 100,000 gallons the addition of pond plants will decrease the amount of maintenance to keep your pond water clean and is a great alternative to expensive products that kill algae by chemical or mechanical means. How Does a Plant Filter Naturally Filter My Pond? Pond plants filter sediments and pollution from your pond, just like trees filter carbon from the air we breathe to produce oxygen. Water plants consume nitrates from pond water. Algae require sunlight, water and nutrients (nitrates & phosphates) to prosper. By incorporating sufficient plantings into the pond the higher order of plants will work to out compete the nuisance algae. Algae has no competition in their absence. Aquatic plants that have high nutrient uptake will be extremely helpful to clear up your pond. Using plants in combination to maximize their respective benefits will further their ability to outcompete algae. Floating plants provide shade and cover; limiting the sunlight. Submerged plants primarily consume their nutrients from the water column rather than from their roots, limiting the development of algae. It is important to understand that all plants have the ability to improve water quality and that each has different strengths. 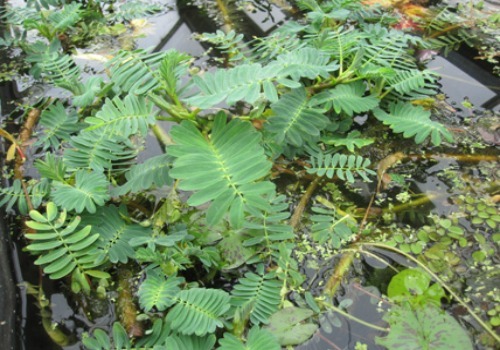 How Do Aquatic Plants for Ponds Combat Algae Growth? Plants combat algae growth by filtering out excess nitrate & phosphate nutrients, producing oxygen, and providing shade for your pond. One of the leading causes of algae growth are from waste and decaying plants. So remember to always remove decaying plant matter before it builds up! Although pond plants are not going to be able to help you remove all algae from your pond, a good mix of aquatic pond plants can really help prevent and control algae in your pond during peak algae season. Some algae on surfaces and in streams is normal and necessary. Limiting abundant and toxic algae is the key. How Are Water Plants Good for Fish and Wildlife? Water plants are extremely beneficial for fish and other wildlife because they contribute to balanced ecosystem producing more oxygen, providing the necessary habitat for all levels of life forms to thrive. They are the foundation of a naturally balanced pond. It is important to include plants that thrive in cooler seasons, so roots are active and absorbing nutrients before warm weather arrives. 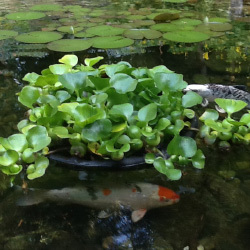 In warmer seasons, floating plants can keep the water temperature down by providing shade during the hot summer days. Plants have added benefits for wildlife too. Bog Beans is a good shallow water plant for frogs because their buoyancy allows frogs to hang onto the plant and hide from predators. Turtles love Water Poppy and Frog Bit as a food source. 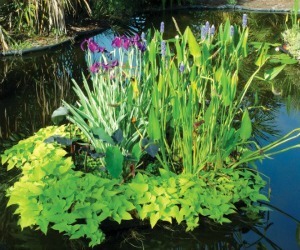 Spatterdock, is a good waterlily alternative because the koi and other fish like it. Submerged plants are vital in providing oxygen for your fish while also acting as a good place for them to hide from predators. This type of plant also acts as a critical area for fry (babies) to hide. However, when koi are present it is a good idea to create protective boundaries around them to prevent them from getting eaten. Click the tabs below to learn about the different varieties of plants to choose from and which to avoid. There are of course hundreds of varieties and we are focusing on why to choose each type of pond plant for your pond. It doesn’t matter which style pond you have, adding plants will greatly help you to maintain a healthier ecosystem. 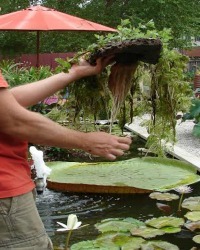 Floating leaf plants, like the Water Lilies pictured here, are characterized by the bloom floating on the surface with roots anchored in soil on the bottom. These underwater growing areas act as a hiding place for fish to raise their fry (babies). Floating leaf plants are beautiful, the jewels of the pond and are vital in keeping a healthy water garden. Bog plants, like the Rush shown in this photo, thrive in shallow water (5-10 in. deep) along the pond’s edge. These grow best in saturated soil on the rim of the pond. Bog plants, also known as Shallow Water or Marginal plants, are heavy root feeders and can improve water quality primarily by absorbing excess nutrients in the pond soil. Submerged plants, like the Eelgrass in this photo, are meant to be grown in pots placed at the bottom of the pond and completely underwater. They are also known as oxygenating plants because they remove excess nutrients via their foliage and have a reputation for producing more oxygen than other plants. Prohibited plants like water lettuce are dangerous because they can quickly take over other species after just a single piece has been introduced. 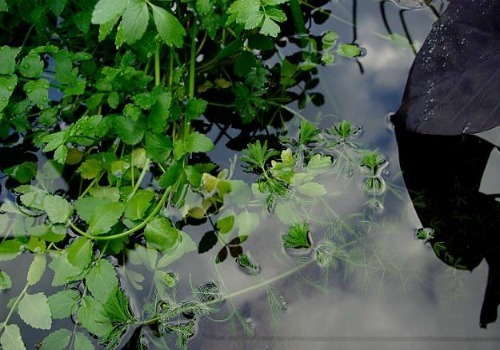 Always be careful not to discard your pond plants in rivers, lakes, or streams because this can lead to aquatic nuisance species effecting the natural habitat. Some plants are prohibited in certain areas of the country because they can quickly take over other species after getting established. Always be careful not to discard your pond plants in rivers, lakes, or streams because this can lead to aquatic nuisance species effecting the natural habitat. In the United States, each State has different rules on which plants are prohibited. Check to browse a list of prohibited plants Browse a list of prohibited plants. Will My Climate and Location Affect Plants? You will find that different plants will be more appropriate for your pond depending on what climate zone you are in and what time of year it is. It is best to plant a combination of cool and warm season plants so that you have algae control from pond plants year-round. Plants will rapidly grow in the early spring for cool season and during summer for warm season plants. Algae blooms most often occur in early spring before the plants bloom and late summer when the plants start to rest. Effectively planning ahead to include plants during these seasonal changes will greatly increase your chances of avoiding nuisance algae. Cool season plants start growing in the winter so they can be active during early spring to combat early spring algae blooms. Some rest through the summer and fall before waking up again in the following late winter. Warm season plants start growing in the late spring so they are active through the summer to battle late summer algae blooms. They rest during cooler seasons from late fall until late spring. 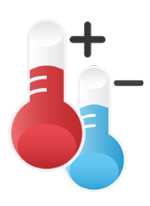 You have to factor seasonal and temperature differences when building and maintaining your pond. For instance, northern areas require a pond depth of 24 to 36 inches to ensure that the pond won’t freeze solid during winter. Meanwhile in warmer and tropical areas, it is important for additional depth due to excessive warm temperatures. For example – Giant Sensitive Plants, Mermaid Plants, and Water Wisteria will do very well in Southern tropical weather whereas Forget-Me-Nots and Water Hawthorns will do well in the north as cool season plants. Build your pond with sloped sides for planting terraces or shelves, stepping down toward the pond area to allow for plant and habitat diversity for critters. Introduce your plants onto each plant shelf along the edge or into a container where necessary. An alternative to planting directly into the pond is a vegetative filter, which is a heavily planted area adjacent to the pond that has water recirculated through it to flush nutrient laden water over the roots. It is of considerable importance to help keep Koi from ravaging the plants because they don’t have access to them. How Many Plants Should I Add? The following table offers a rough guide to how many plants you should plant according to your pond’s approximate surface area. A good rule of thumb is to plant one bunch per square foot of water surface. To begin planting, you must decide whether your pond plants will be directly planted or kept in containers. It is best to have a combination of both naturally planted and potted plants in your pond. Plants such as Lotus, Cattails and Reeds should be kept in shallow containers with no holes for easy maintenance and to set boundaries. Marginal or shallow water plants like Hibiscus, Iris and Pickerel, are good filter plants because of their massive root systems. These plants should be kept in baskets or geo-textile bags of soil, pea gravel or calcined clay so their roots can penetrate to spread and grab nutrients from the water column. 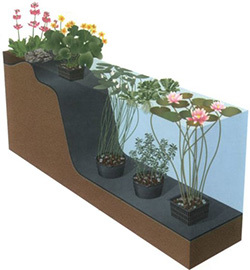 Combine tall and spreading plants in the same container to disguise the pots. .
Will a Liner Affect My Pond Plants? Whether your pond is lines, covered with stone or gravel or naturally earth bottom will dictate what type of plants are acceptable. Some plants like Cattails, Reeds and Thalia have sharp growth tips that can penetrate liner even if covered in gravel or stone. They shold be confined to a container to prevent puncture and leaks. 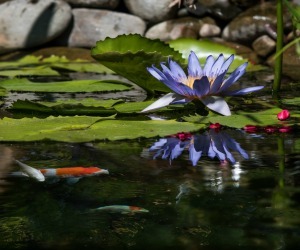 It’s time to select the perfect water plants for your pond! 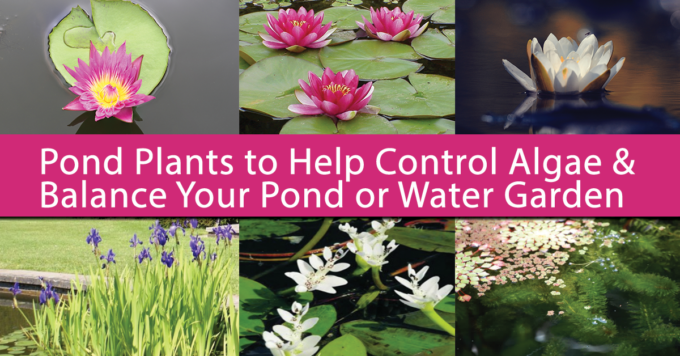 While there are many options for pond plants, we’ve compiled a list of popular aquatic plants to help you establish your water garden. Based on the expertise from pond experts and pond owners, if you are new to the hobby we recommend water lilies due to their resilience to any region or season and their iconic image in backyard ponds. 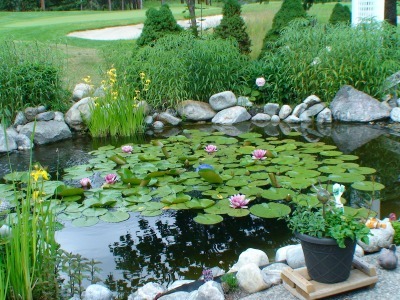 Benefits: Water lilies are a top choice among pond owners. This popular water plant does well in any region and season. They provide a lot of surface cover against heat during the warmer weather and shelter fish from predators. 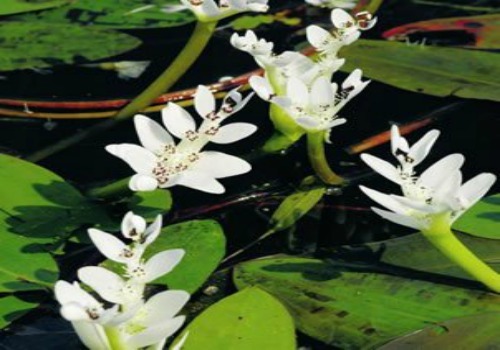 Benefits: This pond plant is one of the oldest cultivated aquatic plants out there for your water garden. 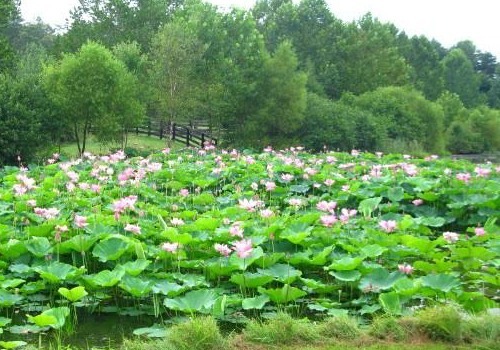 Lotuses are known for high nutrient uptake particularly stunning foliage and flowers. They have a substantial growth rate and are characterized by their upright habit as opposed to waterlilies that have floating leaves. Benefits: This plant has a unique characteristic of only growing and blooming when pond water is below 65 degrees in temperature. These are a good season extender since they are active when waterlilies are not and the blooms are fragrant as well as edible. Benefits: This plant is a good filter for trapping sediments to improve water clarity. They also provide a lot of oxygen during the daylight hours and are often referred to as oxygenators. Set groups of them near waterfalls or where water moves by for the best effect. Remember to reinforce boundaries with this plant because the koi love to eat them. 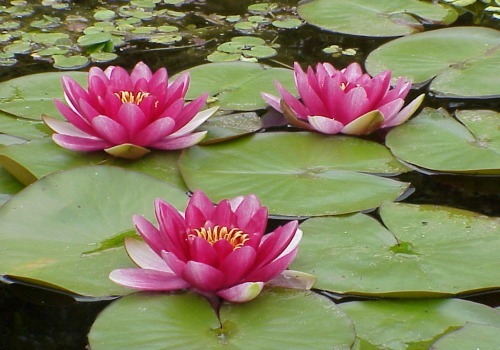 Benefits: This plant is ideal for ponds without rocks because they get embedded problematically. Edible leafy parts, growth begins early when there is still ice in the pond: an excellent early season plant. Benefits: This is another popular plant among pond owners. 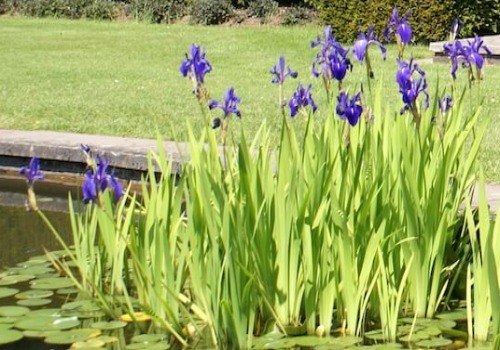 Irises are typically planted in pots before being submerged. 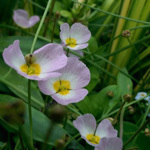 They thrive best in direct sunlight or partial shade. These plants will begin growing in early Spring. Divide in fall for best bloom the following year. Benefits: This intriguing plant folds its leaves after you touch it and appears “sensitive”. They will thrive in warmer seasons and provide good surface cover during hot summers to reduce algae while also providing shade for your pond inhabitants. There are a number of ways to minimize maintenance and provide a healthy and balanced pond for maximum enjoyment. I must emphasize that natural is key. Try to use the natural elements already existing in your pond to promote the ideal situation before resorting to mechanical and chemical vices. I recommend natural products like barley, beneficial bacteria, and Nualgi Ponds which promotes diatom growth to absorb excess nutrients, similarly to plants, and starve off algae. Products like Algaecides, UV Clarifiers and Ion Generators, although effective can mask the problem of excess nutrients rather than solve it. If there is algae in your pond, this may be indicative of an existing natural imbalance. 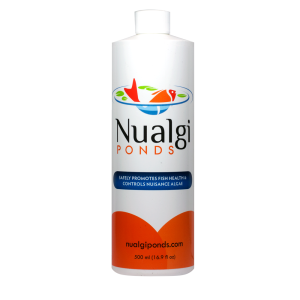 Natural products should be considered a good practice to implement as opposed to trying to take corrective action after imbalances have noticeable consequences. Remember – be patient when starting your water garden, for nature will always set a pace for the best outcome.